Ken Griffin, director of golf sales and marketing at Boyne Resorts, was driving from the southern part of the state back to Boyne country near the Petoskey, Michigan area last weekend when he noticed the colors in the trees had slowly begun starting to change. The three Boyne resorts of Inn at Bay Harbor, Boyne Mountain, and Boyne Highlands, are planning to have at least two of their 10 collective golf courses open through Oct. 23, 2018 so golfers can combine color tours with one last round of 18 holes or more up North. Griffin was attending the annual Harbor Cup, a team competition among golf clubs in the area, at Boyne Highlands last week Tuesday, Sept. 18, 2018 and said the golf courses remain in perfect shape. “It’s been an amazing year for the golf course conditioning at our resorts, and The Heather where they are playing singles matches today looks perfect,” Griffin said. Griffin recommends checking boyne.com and the Petoskey Visitor’s Bureau site petoskeyarea.com for the many fall events and color tours that can be combined with one more round at Boyne. 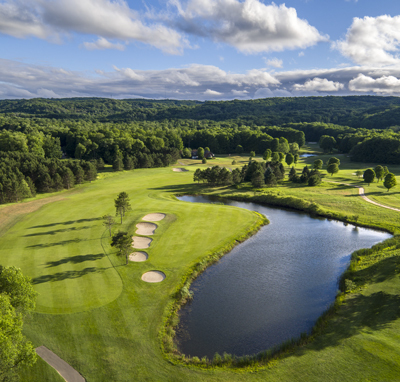 Boyne offers 153 holes of golf across its 10 championship caliber courses, and they have been created by some of the game’s master designers in Robert Trent Jones Sr., Arthur Hills, and Donald Ross. In addition to golf, the resort offers all-inclusive vacation packages, elite instruction with the Boyne Golf Academy, tournaments, and events.